Overalls might not look good on me, but it sure does on Chrisette Michele. I think she looks beautiful and fierce. Love the hair too! 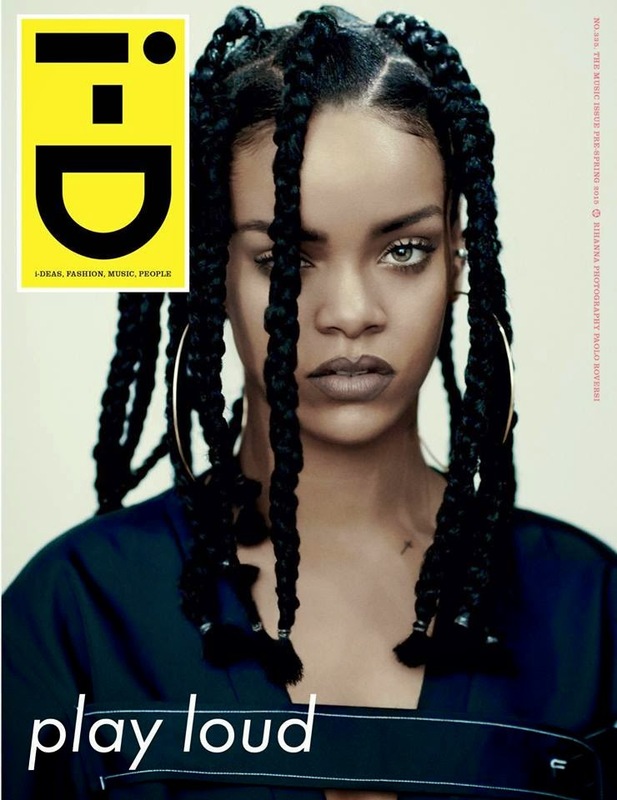 Rihanna covers the front page of i-D Magazine. Something mysterious about it, but I like the box braids. I like the softness of the makeup and lippy on Zendaya. Beautiful! I haven’t wore bikini before in my life and I don’t think I’ll ever wear one, but the queen is giving me life. This photo of Khloe Kardashian is from last year or so, but I just can’t get over how gorgeous she looks. That dress is doing justice to that toned body of hers. Anyone else motivated to hit the gym and start eating right? I know I am, but men….the carbs monster gets me all the time. Lol! Beauty sure runs in the Kardashian/Jenner family. I love the makeup and the sweater – so flawless! Beautiful model, Kendall. Have a lovely weekend, Beauties!